Emily Adele Williams is an Australian cello player, composer and vocalist. Her music blends broad musical styles from modern classical, post minimalist, electronic and experimental avant pop mixing influences from contemporary music creating a wide spectrum of sounds from her instrument from intimate simplicity to atmospheric soundscapes and making full use of technology using her laptop and her effected and amplified Cello. Emily collaborates with artists from various genres and disciplines, including multi-media and is currently recording with composer Anthony Lyons – laptop, guitar, buchla easel – The album EP will be released later this year. 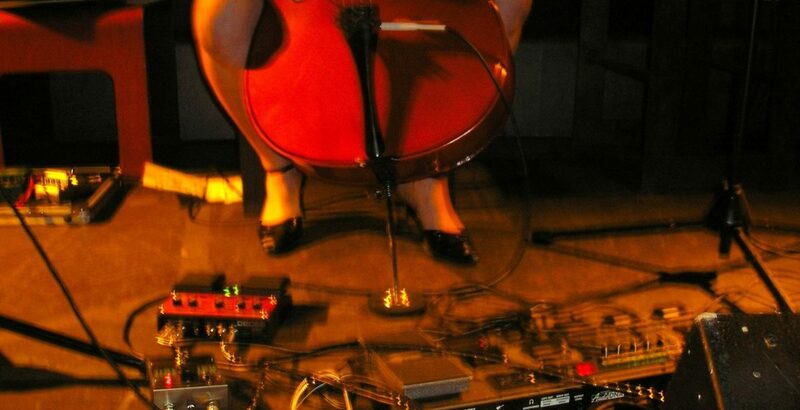 Emily began playing cello as a child, entered the The Victorian College of Arts School of Music in Melbourne, Australia, and has since moved on to further musical studies/composition with a focus on experimental avant pop and improvised music. Among others, Emily has composed, performed and recorded for theatre, dance, TV, short films and gallery exhibitions both solo and with All India Radio, The Ang Fang Quartet, Soteria Bell, Grand Salvo, Alice Ivy, Ned Collette, The Boy Who Spoke Clouds and Anthony Lyons at The Guggenheim ExhibitionArt After Dark series at the National Gallery of Victoria (Australia), ABCTV Sunday Arts (Australia), Art Installation Absence / Presence on Cockatoo Island (Sydney), Film Review Show (Channel 31), Fairfax Theatre Short and Sweet Festival (winner audience award), The London Silent Film Festival, Music Tech Fest in Paris and Trinity Laban Dance Institute (London).